RS Components provides an extensive range of Safety, Security, ESD Control Clean Room components, which along with hundreds of thousands of other items in our product range, meets the highest industry along with best in class service and delivery. Safety, Security, ESD Control Clean Room is important within your daily working and personal lives with RS providing you with every type of protection available. Our security range covers everything from surveillance, cameras, alarms, proximity sensors, including hazard warning signs and labels, fire alarms, extinguishers to identity badges. Where is ESD protection needed? For people working within hazardous environments an extensive range of protective clothing and footwear, ear, face, eyes and head protection is available. We provide a choice of products that will protect you from head to toe. For those of us that working at dangerous heights you need the best safety equipment available. RS Components offers every requirement from safety harnesses, fall arrest protection, lifelines and every necessary accessory required to keep you safe and secure. ESD protection is important not only for us personally but necessary when working with sensitive electronic equipment. The ESD range of products available can protect every part of you from electro static discharge and also valuable equipment from the floor, air quality to the workbench. We have the products to keep you and your equipment safely grounded within an ESD control and clean room environment. 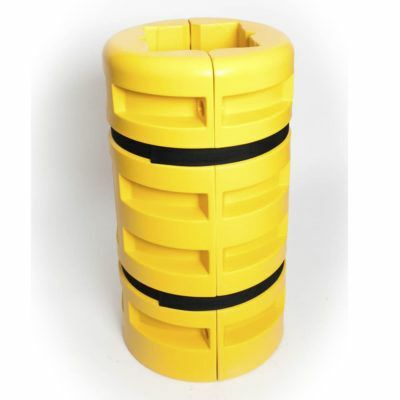 If an accident occurs whether it is in the home or at work we supply the products to cover every eventuality. First aid kits and equipment to assist with on the spot initial treatment and protection to chemical and biohazard spill protection and clean up. Protecting floors whether its a door entrance to full floor covering, our range of mats and floor coverings provide the answer. Any size and type is catered for with an extensive range of materials including anti-slip and anti-fatigue mats, an important factor in health and safety. RS Components is the one stop shop for all Safety, Security, ESD Control Clean Room components, taking into account necessary and required industry standards ensuring personal and equipment safety. If you require any product that protects you at work or in the home. The RS Components range has the answer to all your questions, even those you have forgotten to ask. 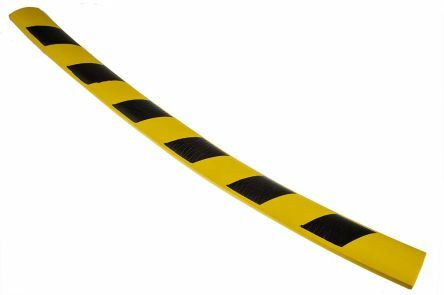 Angles protection for protecting people, vehicles or equipmentIdeal for warehouses, factories, parkingDouble Adhesive backed tapeNitrile Butadiene Rubber doubleface tape for fixing oil and grease resistantHigh visibilityAvailable in square or rounded. 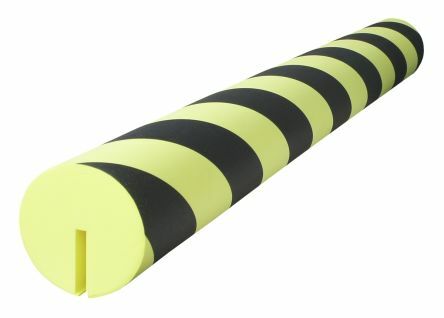 This black and yellow multi-use straight protector is ideal for protecting people, vehicles or equipment in warehouses, factories, parking and industrial areas. Acid and grease resistantHighly visibleMade of EVA (ethylene-vinyl acetate)Fire classification: M4.